I just came back from a workshop organized by the JASON's that was focusing on decision making from complex modeling. 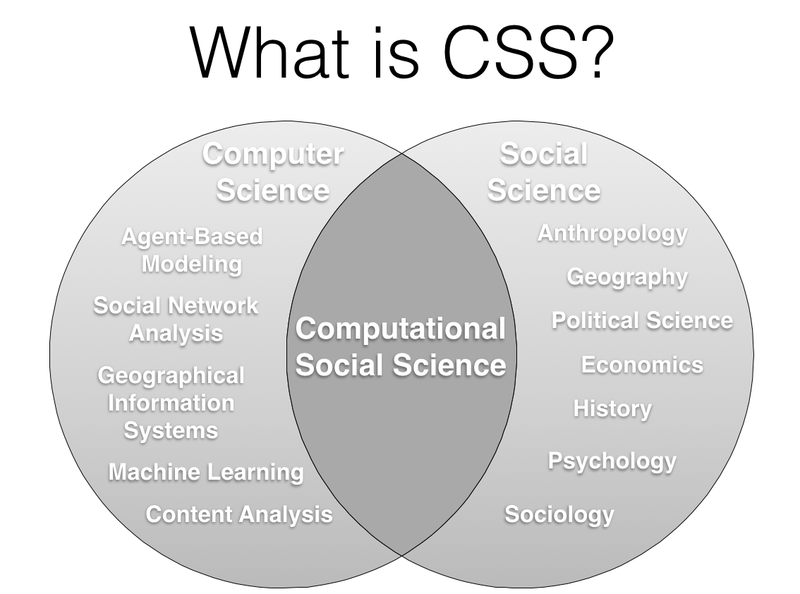 During the workshop I gave a talked entitled "Computational Social Science for Urban Dynamics"
In the talk I introduced, computational social science (CSS) and why one should use it for studying urban systems. Then I went over a collection of agent-based modeling (ABM) applications from basic examples to more complex ones such as pedestrian movement, border security. 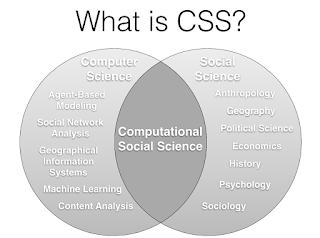 I then discussed the rise of crowdsourcing and how this has made new kinds of geographic data available to the computational CSS community. New forms of data range in their characteristics and purpose. One example is Volunteered Geographical Information (VGI), were users purposely contribute Geographic Information (GI) as in the case of OpenStreetMap; another is Ambient Geographic Information (AGI), where the intention of contributors is not necessarily to provide GI, but GI can be derived, as from Twitter. I then discuss the opportunities that crowdsourced data provides for ABMs, specifically focusing on how such information gives us a new lens to study the micro interactions of individuals. Through as series of examples I demonstrated how such data can be integrated into geographically explicit ABMs. By building on these examples I showcased how the spatial environment and agent populations can be built using crowdsourced information, and highlight how agent behaviors can be informed and validated by such information. Lastly I discussed the challenges associated with this program of research: using such data is not without its difficulties, including gathering or accessing the data, storing the data, analyzing the collected data, and assessing its validity. Overall this talk provides a brief overview of the current state of crowdsourced data-informed ABM. Please note many of the models and papers cited in the presentation can be found under research or publications sections of this website. Also I would like to acknowledge and say thank you to the GeoSocial team at Mason along with current and former students for providing material and much food for thought for this presentation.